Getting ready for a large dinner party? Haven’t touched your oven in years? Add an oven cleaning to your next cleaning service and be prepared to be amazed! You can add this service option to any clean you like. Whether you are getting a deep clean, standard clean, single clean, or have recurring service, you can opt to add your oven on. Not everyone uses their oven the same. We get that! You may have years of bake-on oven use or just need a touch-up and not want to do it yourself. That is why we designed two different service options with different pricing options to better fit your needs. 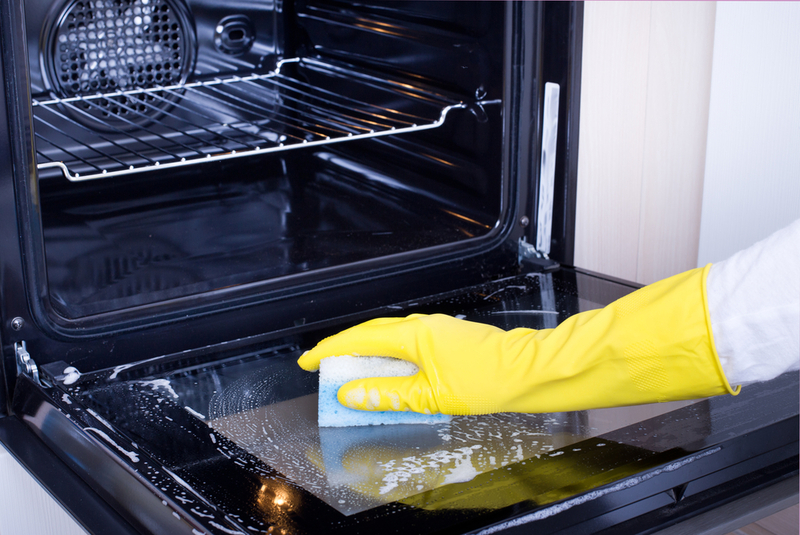 We offer two types of oven cleanings services. Our first is a maintenance service. Offered at a lower cost, our maintenance clean is designed for ovens that need a bit of touch up. In addition, we offer a deep oven cleaning service. This service is geared toward ovens with large amounts of baked-on debris and grease. It is our most intense oven cleaning service. Our professionals are trained to use both traditional and green cleaning products. Depending on your preference we can select the product you prefer. Our green cleaning service utilizes green cleaning sprays along with pumice stones and stainless steel scrubbers. When used with the proper training these products will aggressively clean your oven without scratching or damaging your property. We do recommend running a self-cleaning cycle if your oven has it. Not only can this save us time, but save you money as well. Self-cleaning doesn’t always remove all the baked on debris, but it can often significantly help to allow you to opt for a maintenance clean instead of a deep. Please also double check the condition of your oven before scheduling. Older units can have damage from years of use. If the enamel coating the interior of your oven is chipping or damaged please reach out to us first. This damage can be exacerbated by cleaning agents. We can avoid this with a little heads up. Don’t want to bother doing it yourself? Clean Arrival can do the oven too! Book any type of clean and simply click the oven icon under our extras category to add a fridge cleaning. You can also message us on Facebook or email us here.